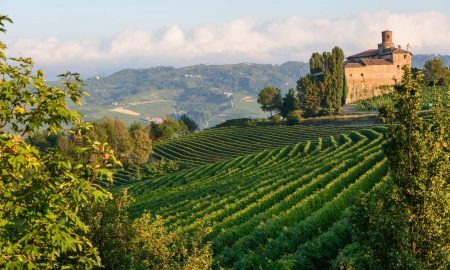 When your neighborhood consists of such stars as Cornas and Hermitage, its understandable that you might be overlooked — especially if you are a white or sparkling wine. But there was a time, a few centuries ago, when the wines of Saint-Péray adorned the banquet tables of Queen Victoria and the Tsars of Russia. Napoléon even claimed it was the first wine he ever tasted when he was a cadet in Valence. It’s not that Saint-Péray waned. It was merely eclipsed by the megawatt stardom of its neighbors. But like another neighbor — the Saint-Joseph AOC — Saint-Péray seems poised for a comeback on two fronts. 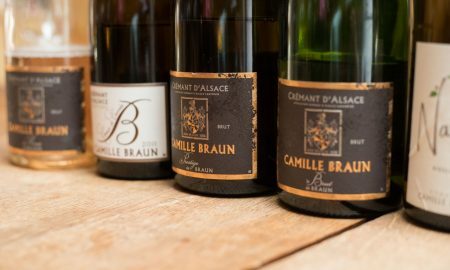 For one, it is celebrated for producing the only sparkling wine in the Rhône Valley, made from Roussanne and Marsanne. (Who isn’t seeking a unique sparkler at this moment in time?) 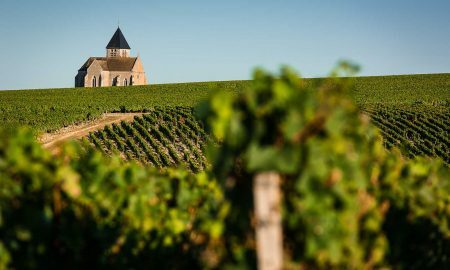 Secondly, in much the same way that Saint-Joseph has emerged as an alternative to red Hermitage, Saint-Péray’s still wines rival many white Hermitage. However, unlike Saint-Joseph, Saint-Péray’s boundaries are tighter and more controlled. The few wines that make it onto the export market are supple, full-bodied and wonderfully crafted. 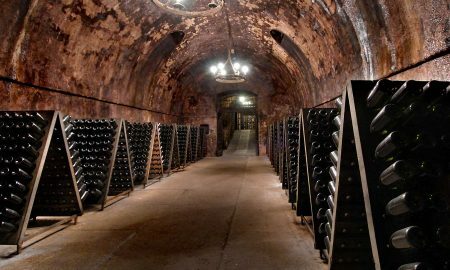 Unfortunately, the sparkling wines — which account for one-third of the production in the appellation — are not easy to find in the United States. So for today, we’re taking a first-taste look at Saint-Péray’s still white wines. 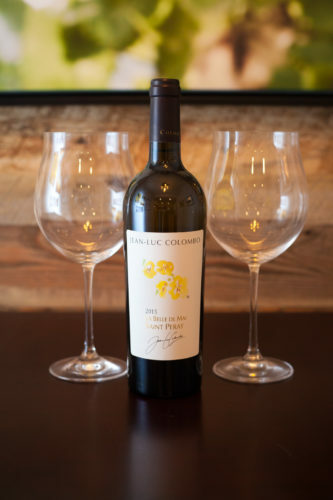 You love Marsanne–Roussanne blends – Like snowflakes, no two are alike … and that’s probably why you love them so much. You want a white wine that pairs with decadent cuisine – With its creamy texture yet mineral bite, Saint-Péray works beautifully with buttery French dishes. 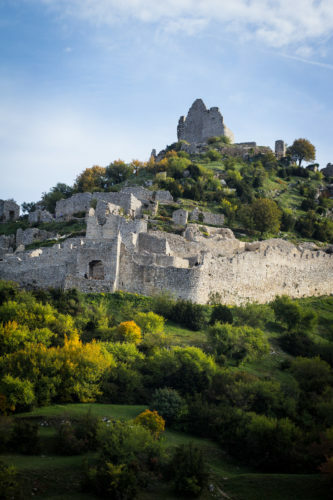 You love the Northern Rhône – Regardless of whether its red or white, I simply love the wines from the Northern Rhône, and tasting the aromatic, rounded profile of Saint-Péray’s whites seems to fill in the picture a little more. The ruins of the Crussol castle in Saint-Peray, France. Saint-Péray shares a lot with a nearby appellation: Cornas. Many producers of Cornas make a Saint-Péray, and many producers of Saint-Péray make a Cornas. Saint-Péray also has the same soil as Cornas, which is decomposed granite with a lot of iron oxide. 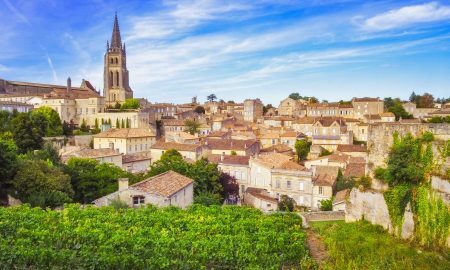 The vineyards on the hills surrounding Château de Crussol tap into limestone, but other than that, Saint-Péray is known for its granite, and the roots can run very deep into this loose, breakable soil. The valley in which Saint-Péray resides creates a cooler microclimate compared to the warm continental climate that surrounds it. Given its location on the Rhône, it could easily be considered Southern or Northern Rhône, but it is this microclimate that makes Saint-Péray wines align more with the north than the south. 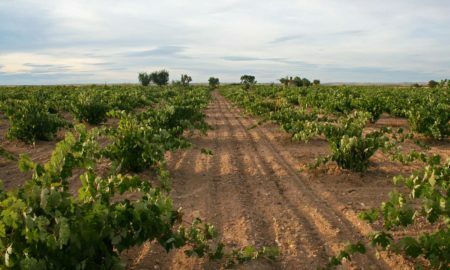 The vines also benefit from biodiversity: many plots are surrounded by forests of oak and juniper, and rosemary grows profusely throughout the region. Another attribute which makes Saint-Péray more like its Northern Rhône cousins is its size: there are only 75 hectares under vine. 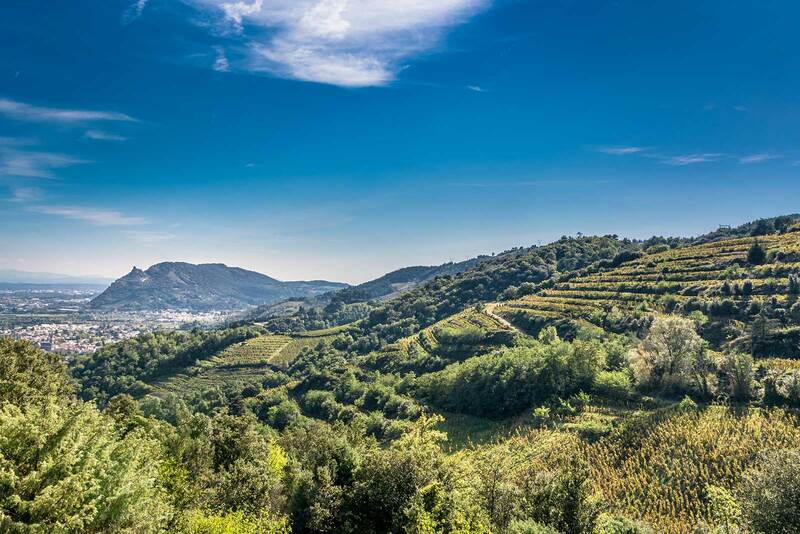 With the exception of Saint-Joseph and Crozes-Hermitage, the Northern Rhône appellations are small, compact and with strong identities, especially when compared to the large AOCs of the Southern Rhône. 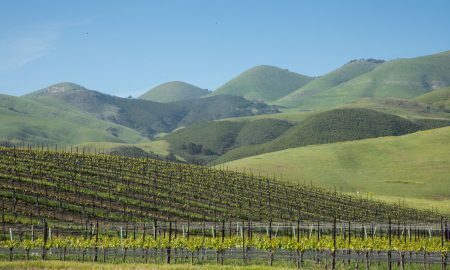 This crossroads between north and south is reflected in the region’s geology, and ultimately, in the way these wines feel. They have the roundness and plushness of the south, the precision and aromatic wildness of the north. 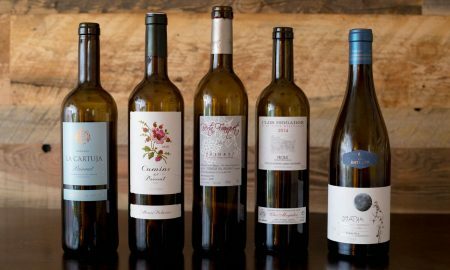 The aromatic tones of these wines often trend toward the orange-colored stone fruits, with traces of nuts, beeswax and a smattering of wildflowers. But it is the texture of the still wines in Saint-Péray that really make them stand out. Often described as “mineral,” the mouthfeel of these wines creates a refreshing sensation the moment they cross your palate. They seem to caress every corner of your mouth, and on the finish, it lingers like an outstretched arm saying goodbye. (So, yes, you could say these wines are a little melodramatic). 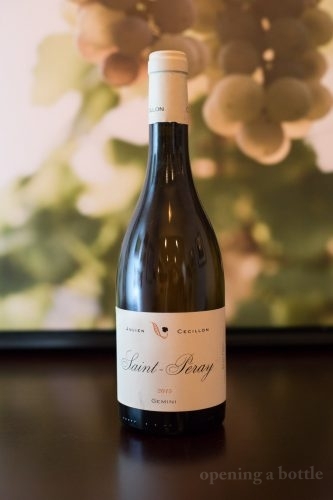 For your first taste of Saint-Péray Blanc, I am recommending two wines, just because the styles vary so much depending on the percentages of the blend. 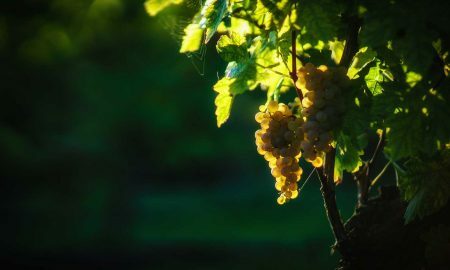 One of these wines uses Roussanne as the lead grape and another — which is harder to find — has Marsanne as the lead grape. The difference is quite noticeable. Jean-Luc Colombo’s “La Belle de Mai” Saint-Péray — as noted above — is fresher and more sharp because of Roussanne’s dominance. It is a wine of surprising contrasts because of it: the deeper tones recall pear and quince, the highlights bring to mind grapefruit, and the resulting collision of these two creates an expression that is unique and compelling. Meanwhile, a smaller producer — Cave Julien Cécillon — leans on Marsanne as the dominant grape in their Saint-Péray blend. It is a vastly different wine as a result: it is bigger, fuller and less acidic. 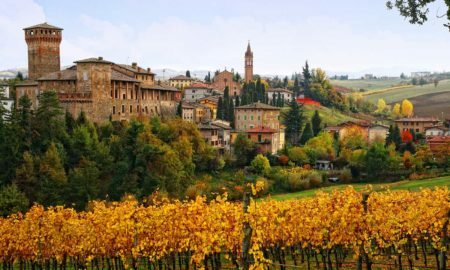 In fact, it is a challenging wine whose wild aromas of apricot, sandalwood and creme brûlée seem to misdirect the senses at times. It needs time after uncorking to sort itself out, but once it does, it’s quirky personality comes across as a bit of a rascal. If I were to liken these wines to music, Jean-Luc Colombo is the lead single for Saint-Péray: accessible, easy to love and populist. The Cave Julien Cécillon Saint-Péray is an experimental B-side. I enjoyed them both, but their differences helped underscore what a dramatically varied and wild appellation Saint-Péray is. Note: We‘ve made adjustments to how we rate wine. Learn more. Tasting notes: A white wine comprised of inviting aromas and texture. On the nose, it might remind you of quince or pear and white flowers, with a distinct, citric edge similar to grapefruit. On the palate, there is a little vanilla as well. This collision of fruit tones — full and ripe, bitter and citric — give the wine a compelling sense of motion on the palate. But where this wine — like the best Roussanne/Marsanne blends — shines is the texture. It’s creamy and full in the most inviting of ways; when served slightly chilled, you’ll want to linger with it. Just an all-around, pleasant wine. Recommended for: Light hors d’oeuvres such as vegetable quiche or snails in garlic butter. Or try it with a creamy pasta dish; the creamy texture combined with a zingy finish make it a compelling match. 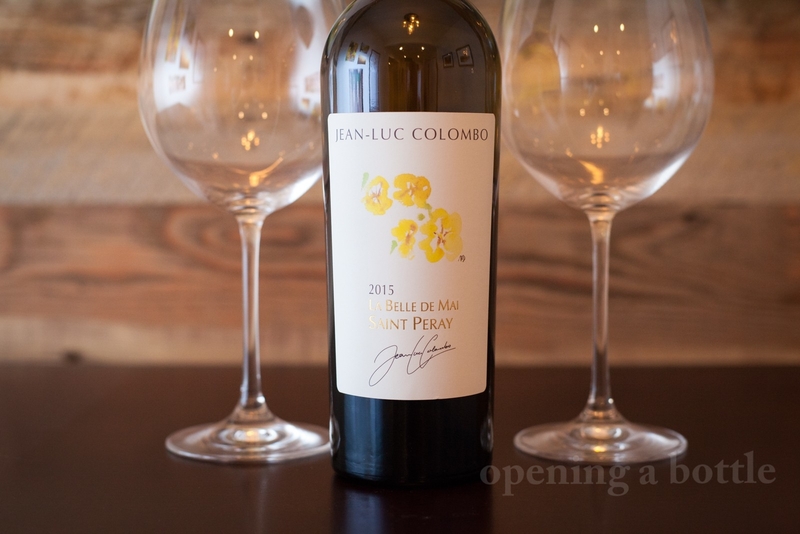 Tasting notes: If the Jean-Luc Colombo represents Saint-Péray at its most traditional, the Julien Cécillon is a little more “out there.” It is wild to say the least. The aromas are intense and mysterious; a strange combination recalling apricot, coconut, sandalwood, yellow flowers and creme brûlée. Sometimes these aromas seem distinct; other times, more elusive. The wine was concentrated and even a bit oxidative, giving it a little bit more of a stubborn personality with our meal. It seemed to fight with spice. Medium bodied, medium-minus on acidity, its texture is like a soft bed you don’t want to crawl out of. The wine expresses its oddball character the most on the finish, reminding me a little bit of rum. Recommended for: Serve slightly chilled with charcuterie and a hot summer night. Note: It appears the 2015 is unavailable online in the United States. This wine is made in limited quantities. Note: The Jean-Luc Colombo “Le Belle de Mai” Saint-Péray was provided as a sample by Palm Bay International. Learn more about our editorial policy.